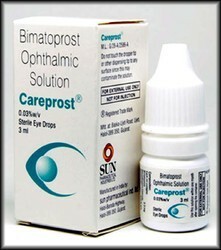 We are leading supplier of careprost, careprost plus, Bimat & lumigan eye drops. 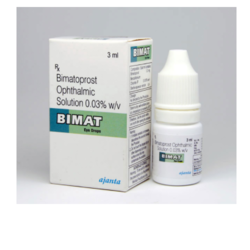 Bimat Eye Drop is an eye care medication used to treat patients with hypotrichosis of eye lashes or inadequate eye lashes. This medication aids in making the eye lashes more noticeable by increasing their growth and making them longer, thicker, darker. it is similar to a natural chemical in the body called prostaglandin. Bimatoprost Ophthalmic Solution is an eye care medication used to treat patients with hypotrichosis of eye lashes or inadequate eye lashes. This medication aids in making the eye lashes more noticeable by increasing their growth and making them longer, thicker, darker.It is similar to a natural chemical in the body called prostaglandin.